Anyone who's ever ridden a horse knows that it's an extremely difficult sport. Horses are strong and have incredible reflexes, meaning that they can leap and spin out from under you in seconds. But if riding a horse weren't difficult enough, riding a horse sidesaddle added a whole new challenge. 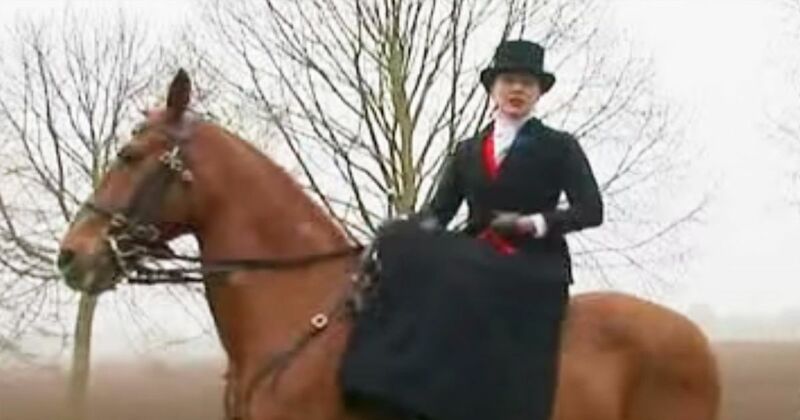 This video does a great job of introducing you to the world of sidesaddle riding. Hundreds of years ago, women were expected to ride sidesaddle, and no women rode astride. That limited the amount of riding that women could do and certainly made things more challenging. Luckily for women, practicality won out over tradition. Enhancements in the side saddle itself, and then the acceptance of women riding astride meant more horseback opportunities were open to women. Today, much of the equestrian world is made up of women - and very few of them would consider riding sidesaddle. But there are still some sidesaddle enthusiasts out there. The International Side Saddle Association is devoted to keeping the tradition of sidesaddle riding alive. The Association offers many articles and information on the sidesaddle tradition, and it also serves as a resource of sidesaddle competitions available today. Additionally, members of the Association can participate in an awards program. While it's certainly more rare to find a sidesaddle rider, they're still out there. You may find them in special sidesaddle competitions, and sidesaddle riders sometimes put on demonstrations at horse expos and other large events. There are even jumping competitions dedicated solely to sidesaddle riders. Riding sidesaddle is an art and requires excellent skill on the part of the rider. Thanks to these dedicated riders, we may always have this part of our heritage available to us in the modern day.